Back in the early 90’s I was working as a secular radio talk show host and commentator. Even so, religion was one of my big topics – and I often spoke about abortion. At the time, even many nominally religious people accepted the depiction of Margaret Sanger, the founder of Planned Parenthood, as a pioneering women’s advocate. That deeply offended me, as I had read some of Sanger’s books and knew that she was an elitist who wanted to eliminate “inferior” people and races. In 1933, she had Ernst Rudin, the director of Hitler’s Racial Sterilization program and founder of the Nazi Society for Racial Hygiene, write a guest column in her “Birth Control Review,” the newsletter of the nascent Planned Parenthood. She advocated for concentration camps in America to segregate and sterilize those she considered unfit (and she considered almost half the population to be unfit). She gave a lecture to a women’s section of the Ku Klux Klan in New Jersey in 1926. I consider her one of the greatest monsters of the 20th Century, alongside Stalin, Hitler and Mao. But I figured the most effective way to destroy the hagiographic myth surrounding her was to use her own words. So I often quoted directly from her books, usually “The Pivot of Civilization,” (which you will never find in a Planned Parenthood facility – they don’t want you to know who she really was). The quote I most often emphasized was, “The most merciful thing that the large family does to one of its infant members is to kill it.” – Women and the New Race. I was gratified to receive calls from several women who claimed they had worked at abortion clinics who had quit – because they had done exactly what I suggested and got copies of Sanger’s own works and read them. Much as I decried this Pied Piper of Death, I was also convinced that abortion was as much a satanic attack on the living survivors as on the martyred babies, to cause despair, to make us see ourselves as vile and to lose heart that there can be any good in us. To this end, I encouraged pro-life organizations to reach out to women who had had abortions and help them to heal, for many, many were suffering in silence. Though many pro-life groups tried, it was in the mid-90’s that the Rachel’s Vineyard project really began large-scale help for the survivors of abortion. It was taken on as a ministry of Priests for Life and has since had great success in helping those left walking wounded from the lies they were told by the abortion industry. How it gladdened my heart to see it rise! A strange thing began. I started getting calls off the air from women who had had abortions. Once, the news director grabbed me just after I got out of the broadcast studio after a shift and told me I had a call in the newsroom – but I should take it in a recording studio because she was pretty sure it was one of those calls (Not so I could record it, but for the privacy it afforded). For several months, I would get three or four such calls each week. They were agonizing. Women would tell me stories of boyfriends and parents who had pressured them into it, threatening them with abandonment at a time they were young and vulnerable, if they did not. One, in anguish, told me they had assured her it was just a “blob of tissue.” But when she looked on the tray after it was finished, she saw a mutilated baby – her baby. Rarely could a woman get through such a call without weeping copiously. At least half told me they had never told ANYONE about it before. Most believed they could not be forgiven for what they had done. Almost all were contemptuous of the abortion facilities, claiming they were soothing and comforting before the abortion, but then had no use or comfort for them after it was finished. These women desperately needed to talk to someone. I was glad that there was something in my manner that spoke to them and suggested I could be a safe repository for their sorrow, but it sure was gut-wrenching for me. As hard as it was, I thought a lot about how very many women there were out there who were carrying this terrible burden of guilt, sorrow and pain all alone with no one they dared call, not even a stranger like me. Again, thank God for the rise of Rachel’s Vineyard! I came to think of abortion as the wound that will not heal, the wound that leaves a permanent hole in the heart. Thank God that telling the women my private perspective on the subject seemed to help quite a bit. I would tell them that their baby was alive and in heaven, that it had a name, given by God, Himself, and that it spent its heaven praying constantly for its Mom and Dad to repent of what they had done and come to Jesus, that all might have a joyful reunion in heaven. I told them that was their child’s fondest hope and constant prayer. Some would tell me it could not be because their child had not been baptized. I told them that the Church recognizes two forms of baptism other than the ordinary form, the Baptism of Blood (in martyrs) and the Baptism of Desire. I believed that such infants had been baptized with both. They were martyrs to the satan’s plan to sow despair among believers. While I knew most commenters say an infant is incapable of having such desire for God, I firmly disagreed – and found no canon that specifically said this. I believe that we are formed with an intense desire to know and love our Creator – that it only fades from us as the satan sows seeds of vanity and disbelief as we grow – so that, in fact, an infant’s desire for his Creator is the most pure and untainted of all. I was a relatively new convert then, so I was not acquainted with any theologians or canonists of great stature – but I was convinced of it. Since then, I have become friends with a number of such. Every one of them I have explained this position to has agreed that I have a point worthy of serious consideration, and that it is not contrary to faith and morals. Some of the women told me that, in the aftermath of the abortion, they had named their baby. I told them their child proudly bears that name along with the unique name God gives each of us (Rev. 2:17). Others told me that their child could never forgive them for their active consent to the child’s murder. I told them that in heaven, we have perfect understanding, and so their child knows the fear and ignorance that plague us here – and re-iterated that their child’s fondest hope was to be re-united with them in God’s Kingdom. I encouraged each to go to their Priest or Pastor and speak of what they had done, seeking forgiveness and dedicating themselves to being a sign of hope to all they encountered. I told them if they stumbled into a condemning pastor, don’t give up but find another. I emphasized that God wants all of us to turn to Him – and that anyone, confronted with a seriously repentant soul, who does not understand that is unworthy to be called a pastor. A couple of times, with women who insisted they could never be forgiven, I tartly told them to NEVER underestimate God’s mercy – that the only thing that could keep them from being forgiven is a failure to truly repent…so that was on them, not on God. Oddly, that was almost invariably reassuring to them in a very deep way. I know something about the devil. Contrary to popular images, he gets NO kingdom save that which he can cobble together while this earth endures. When the end of time comes, he will be as isolated and agonized as all the rest of the damned. He is not God’s rival, but it serves his purposes to convince humanity that he is head of a rival, dissenting kingdom. Satan is pure malice, his purpose to negate that which God has created, to mutilate the body of God’s creation. He is showy, but barren…all sizzle with no steak. His purpose is to destroy man – and he delights most greatly in eventually destroying men who enter into his service thinking they are going to be captains in hell, for he has utter contempt for vain fools who do not even have the wit to know which team is on their side. With abortion, the satan took on a risky gambit, sowing despair at the cost of adding tens of millions of pure souls to heaven advocating against him. One time a young woman (maybe 30) who was active in pro-abortion politics wanted to debate the issue with me on the air. I had her and another two on. Weirdly, after the show was over, she would not let up. She even followed me into the parking lot hectoring me the whole way. I was annoyed – and then inspiration struck. I spoke to her as I spoke to the women who called me in despair. I looked intently at her and told her, “Your baby lives. He is in heaven and his constant prayer is that you repent so that you can be joyfully reunited.” She looked at me as if I had slapped her, then started trembling, burst into tears and hugged me. I never saw or heard from her again, so I don’t know how her story ended. But I did realize that while some women go into quiet despair in the aftermath of an abortion, others adopt the most shrill advocacy of abortion of all. It is, I think, a desperate attempt to convince themselves that what they did was okay. The more they hurt, the shriller they get. Pray for them. Your child is in heaven, advocating ceaselessly for you. The only thing you could do to compound the pain and hurt you once caused is to deny him the joyful reunion in heaven he so longs for. Confess your sin, receive absolution, and dedicate yourself to being a sign of hope to all you encounter. Amen, Charlie. The fire of the Holy Spirit is in this piece, brimming with hope and heartening graces. In addition to the Baptism of Desire on the part of the baby, can be the Baptism of Desire on the part of the parent who has authority over that wee child. I love how you challenged, in the best of ways, the grieving post-abortive women to take up the self-nurturing power of self-forgiveness. It reminds me of Jesus saying to St. Faustina: “The graces of My mercy are drawn by means of one vessel only, and that is — trust. The more a soul trusts, the more it will receive.” And what a dynamic story about the encounter in the parking lot with the stalking, wounded one! Praying for all our family and friends who have experienced any angst connected to abortion. May God’s rivers of mercy flow freely upon His people. What a beautiful piece Charlie. There is nothing God cannot forgive if we but admit and repent. So simple. Really. And God DESIRES to forgive us! Wow Charlie, I do believe the Holy Spirit spoke to you in that parking lot to tell that woman what you did. I hope she did repent and asked GOD for forgiveness. Looks like a powerful story, Gary. Marie B, thank you for sharing the link to this inspiring short documentary. I just finished watching it. I woke up today with dry eyes, and watching this film solved that problem!! Made me think of Luke 7: 40-50. God sees the first movement of the heart like the Father who saw the prodigal and went out to him while he was still a long way off. The first swelling of the lacrimal duct that heralds that washing away of sin and prepares us for new life. God bless those women. ❤ Joe, it is so nice to see you. Hope all is well with you, your family and beautiful NZ! Thanks JB, Snowy and Becks and all my friends here – just needed to let the waters settle – it’s particularly appropriate that I stick my head out today as it’s the feast of St John Ogilvie our Scottish Jesuit martyr. We used to march through the streets of Glasgow to pray for and promote the cause of his canonisation which I was fotunate to attend in 1976. Today we had another march, the March for Life, here in Hamilton with our Bishop Steve in our beautiful New Zealand. Thank you for asking after my family. Mum is all good and will be 90 this year. I hope to celebrate with her and perhaps fit in a visit to Garabandal if it will still be possible. There, Our Lady spoke about abortion but the whole subject was inconceivable to the girls. My nephew in the army has not been stationed back in the middle east as we feared may have happened but is in The Falklands. Thank you all for your prayers on this. Once again they worked! God bless us one and all. I, too, am glad to see you back on these boards, Joe. All along, Joe and I have privately scrapped a little and shared a few laughs. It is good, though, that the family should be back together. Nice to see you again, Joe (o.k., we won’t mention a certain 6 Nations match yesterday… cough 😎). Thanks be to God for all His mercies. We may yet win! I have to admit, I had been fairly despondent, so relentless is the well-funded anti-life barrage. Yesterday gave me so much hope. And the usual antilife rent-a-mob were very small in number, although one young “gentleman” displayed a particularly obnoxious poster, replete with the “f-bomb”. He was laughed at, as the massive march peacefully, and joyfully, passed their tiny number. That really revealed their utter pointless despair. God convert them. All this after a particularly hard patch of vicious weather, when the entire British Isles practically closed down for 3 days the previous week. We were so worried the Rally wouldn’t have the numbers. But, as it turned out, the weather improved and it was the biggest turnout ever. 100k in our terms, population-wise, is about 5 million in yours. Even our craven media couldn’t deny it, for once. There were actual reports of the true numbers – gasp! May God defend the right, and may our faithless “leadership” be warned! I hope they have been, because it seems that the heart is still sound and there will be a reckoning. Might not have posted the correct link. Apologies. What match was that? 🙂 Oh you mean that lucky win! Hmmm…you know, when I began these websites, I never envisioned that I would have New Zealanders and Irish jabbing each other over soccer matches in the comments section. Nor could I have predicted that I would so enjoy the friendly ribbing. I guess it is more proof that God is, indeed, always startling, fresh and new. Joe, how do we even begin to explain???? Ooops…methinks I made another blunder :-). I should remember never to get into the middle of a squabble between friends on a matter I know little about. (Occasionally got into some blowback when trying to do so between Alabama football fans in my family). Ah, but at least such blunders often serve to unite the squabbling antagonists, even if it is to unite them against me. Love your quote – and I want to assure you that Pontius Pilate has examined my comment and finds no fault in it. It’s rugby Charlie, and since Italians are pretty big rugby fans I’m not sure we’re buying the line about Pontius finding no fault! He was obviously distraught that Italy lost to Wales yesterday. My guess is he’ll wash his hands of the whole thing soon! No concern for things too great for us! Glad Andy came to the party! I’m wisely staying out of this…………………….. (since you all well know that I thought that South Bend was the Irish homeland up until high school graduation, and that Notre Dame Football was the national sport). So good to have you back…missed you. Ha! Joe, you must be one of those stealth readers now. I am glad you came out of the shadows. God bless you man! Hey. Good to see you Joe. The man from the Long White Cloud!! Hi Joe, I also am delighted that you are here. I have been reading Charlie for quite some time, but didn’t comment much. I greatly appreciated the your contribution to this community. God bless! Hello Joe! So good to see you here again. God bless you!! Today, for breakfast, I had a bacon of hope…..
with a rasher of redemption to wash it down. Beautiful, Charlie. Some years ago I prayed for someone in our family that I believed might have had an abortion, maybe two. I prayed that the Blessed Mother would go back in time (as God can do) and hold the babies in Her hand and baptize them. After some time passed, I walked out of the house one day to see a rose bush that amost never bloomed, had 2 lovely blooms on it! God is so good and Our Mother too, of course! Never underestimate Heaven’s help. Thank you Charlie. So many women (and men) deeply wounded by abortion. Today at a garden store a man who worked there made a very chauvinist comment to me and it has hit me before too, that the women’s movement to punish all men (guilty or not) was a reaction in great part due to men like him. Unfortunately with this reaction it was taken too far and women may have chosen to behave like the men they hate in things like male-female relationships- using and being used. And of course crisis pregnancies being the end result. I do think it is true though with abortion that it is certainly not what a woman wants but she feels trapped. I pray for all who hurt so much- it is so heartbreaking to hurt this much. May the Lord heal all the wounded and please as soon as possible. Amen, thankful. United with all here in prayer for healing. So often fear manifests as anger. Once I was in a small furniture store in Alabama. The owner (an old fella) and I were the only ones there. We started chatting about religion – and were having a nice time, until he found I was Catholic. Then ugliness came in. But I had already decided I like the guy and told him how depressing it was to get that sort of insult from so many down south. Why could we not disagree without malice? We talked a little longer and it got nice again. Finally, somewhat shame-facedly he told me the reason he went after Catholics so hard was he thought we think we are better than everyone else. It was his defense. I was startled and told him that when down in the south, I was always on a hair trigger, half expecting an attack any time – so I could see his point because from our point, being loaded for bear was our defense. Like a liverwurst sandwich on rye, our visit started well and ended well – but what was in the middle was a little dicey. You just never know whether, when confronted with such vitriol, whether you are just dealing with a jerk or are dealing with someone who is hurting. Lord help us to feel the difference and give a gentle rejoinder to all who can accept it. Wow, Charlie, thank you for sharing that story. I often don’t seem to have the right words and am way too frequently shocked into silence. That is a good prayer. I hope and pray to know what to do on the spot in these situations. It is so not my forte at all, but I hope and pray that some day it will! Praying for you and your work with Rachel’s Vineyard, Bernadette. Praying, too, for Ireland and a good outcome for the culture of life. Oh thank you, Bernadette. I LOVE the work Rachel’s Vineyard does. In so many ways, you are cooperating with God in undoing the ugliness the devil has wrought. My prayers go up for beautiful Ireland; may she shake off this terrible fever and become a pillar of faith once more. Thank you for your work. God bless You Bernadette! Prayers! I was just there in your country last month in Limerick Bernadette. I pray for your country to uphold life. I pray for your work of healing souls too! It warms my heart to hear what you are doing. God bless you, Bernadette! You have a great patron Saint, too! Bernadette, what a blessing you are for Ireland. My heart breaks when I see what happened to Holy Ireland.This Blessed island, which at one time was filled with good, holy people, has fallen away from God and the Church in a way I never thought possible. Prayers for your work and for the conversion of Ireland. You gave such a powerful testimony yesterday, Bernadette. Thank you for sharing it and for all the work you do. Yesterday ‘s march was such a beautiful day for Ireland. Pray God the 8th will be protected. God bless you and your work Bernadette. God bless you, Bernadette, and the beautiful Irish people! My son and I were in Dublin some months ago and we trekked around the city hoping to find a Catholic Church with Holy Mass! MassTimes.org said there was none but we were hoping against all hope —you know —an unannounced funeral mass or wedding mass somewhere. We walked and walked but ended up in Guinness. And had a pint each! I have very high regard for Irish Columban priests —holy and simple priests. May they populate your island again! Charlie, so very glad that you are able to help heal these tortured women; you give them a reason to believe in God’s mercy. Charlie, thank you for this piece. I have never said it publicly, but I had an abortion 33 1/2 years ago. It is just as those women described it at the death clinics…so warm and caring before the abortion, but cold afterwards. The emptiness one feels after an abortion is difficult to describe. I left the church shortly after the abortion. I didn’t confess until five years ago, along with many other sins, to a priest from India. He could not believe I showed no emotion. I didn’t feel anything, but I was very sorry for what I had done. The next week, I went to another priest for “normal” sins and I fell apart. Guess it was a delayed reaction. I fell apart again at the beginning of the Year of Mercy when Pope Francis said women could now be given absolution or forgiven for abortions, thinking I had not actually been forgiven the first time I confessed. Thankfully, I had another good priest who explained it to me, that I had been forgiven already. When in Bible study a couple years ago, where no one knew about my abortion and still don’t, a man who is very active in the prolife movement said some pretty hateful words about an angry woman who lashed out at him when driving away from the death clinic. I told him that maybe she was one of the women who had an abortion herself and needed ministry and understanding too. He hadn’t thought about that. There are many angry women these days, and I truly believe a lot of them have had abortions themselves. From my own experience, it hardens the heart, making one angry, defensive, and even combative. Abortion is demonic. Again, thank you for your wise words, Charlie. God bless you and all here. Thank you, Audiemarie, for your brave heart and your witness to truth, God’s Mercy and His healing. So glad you found healing, Audie, and found your way here to help build our little community. I am so glad you helped that man see another perspective. I cringe every time I see someone from our side angrily berating women…it makes me think how survivors, who are already so alone and hurting, are driven away thinking there is no mercy to be found here. The best sidewalk counselor I have ever known is part of this community. Her name is Vanessa our of Riverside, California. I was outside a clinic with her one day and she was amazing. She has made friends with the guards and other employees. She calls to people with real gentle encouragement. She measures her success by “saves.” When she gets a save, she often is able to stay in contact with the family…and sometimes sends me picture of her saves. God bless all who bring the hope of Christ back to broken people. Audie, my heart goes out to you. We are all wounded and broken in some form or fashion. Thank you for your courage to share what you said. I hope more than anything that folks understand how God wants to forgive us. So simple, but our pride gets in the way so often. We silly humns can bottle it up for so long. God bless you! How terrible that you felt you were without an option, other than to abort your baby; thank you for your insight. May God continue to heal you and mend your poor heart. We have this Tuesday to pray at our “local.” I will remember your words about what happened to you, there and afterwards, and see “you” in the women who come and go. All sin certainly hardens the heart……but some of us see only the sin and not the dead, still beating, heart. Talk about hardened hearts! Please God, I don’t forget that abortion really harms the living as much as those litte ones who die. God Bless you and all who speak out, of the evil that is done in these places. Thank you Audie for sharing your heart. So thankful for your witness to mercy and hope! Praying for you and all women and men affected by abortion. Come Holy Spirit and heal! AudieMarie, thank God for giving you the grace to find Him! You are a brave soul. In heaven, there are no cowards. Very beautiful Charlie, love came through this piece in a big way! Thank you for this Charlie, it was so beautiful- especially the story about the woman who followed you to your car! Wow, what a gift that was for her and you… and all who read! 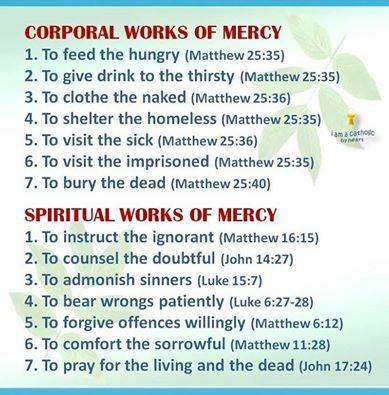 God’s mercy is so magnificent, and so kind and gentle! 💔🔥! Well, shoot, Charlie, the story of the woman in the parking lot made me blubber up. You intuitively hit the nail squarely on the head and may have given her the push she needed to seek healing. Bravo, my friend. ….ALL of this was obliterated from my mind. Gone, like it never happened. Two decades later when I had returned to the faith, the memories of that day came flooding back all at once. I’m unsure what triggered the sudden recall. But I stood there dumbfounded, stupefied. How could I possibly forget every detail of that terrible day for twenty years? The memory was completely nonexistent, and then suddenly it all reappeared in toto…and ripped my heart apart. Soon thereafter, I went to confession. I told the Franciscan of my silent complicity in allowing my child to be murdered by a “physician.” During the absolution, I looked up at him in surprise me when he spoke words I’d never heard in the confessional: “…and I remove the penalty imposed upon you by the Catholic Church…” Both the gravity of my sin and the immense mercy of God struck me all at once with those words. Thank you, Patrick, for your witness to truth and mercy. May you, and all who have suffered so much in this way, ever be imbued with Christ’s Peace. Thank you, Beckita and Charlie. I thank the Blessed Mother for bringing me back. It is a bit fatiguing writing of my past, but I do so not to get it “off my chest” but that it may reach someone else. I feel so blessed to have this venue and to feel so comfortable with our community to be able to. God bless you both and everyone here! BTW, I was just now contacted by Carol, a local representative of Rachel’s Vineyard, to “first heal my heart” as she put it. I will try to keep you posted on this next leg of my faith journey. Thank you Patrick and please do, if it is not too painful and personal, to keep us in touch. Just looking from my own perspective I would say there are many other memories that could be painfully portrayed on this topic – the fundamental right to be born and have a life, with or without our natural parents. For instance, when talking of guilt, anger, frustration, etc. what about the ache and confused feelings of fathers who belatedly find out about an aborted child. It is a position, as a mother of four sons, I have often pondered. Our relationships, as young people, can sadly be fleeting and far outside the realm of what God had planned for every mother, father and child. Yet we are each loved distinctly, uniquely, by Him and His Mercy shows us the way to proceed in His Kingdom. We have been busy over the years defending the rights of the unborn, as we should, and it makes the headlines, while in the background organisations such as Rachel’s Vinyard go quietly about their good, eternal-life-saving work. For every one child grieved over through a life-termination, there are – at least – two other lives very much in need of healing and reconciliation. I have a feeling, judging from what has been revealed in the comfort of this blog, and from my own experience, that this is a tip-of-the-iceberg topic. Let us place every single person touched by these heartbreaking circumstances in the Holy and Divine Will of the Lord, for Jesus Himself has suffered, repaired and restored the fullness of grace for each one of our stories and calls us to recognise that fact and love Him for it, and take full advantage through the Church, both in its sacramental and pastoral channels. Thank you Charlie, as our dear Sherpa, for taking us both boldly and gently down this necessary, narrow path! Suddenly and unexpectedly did this venture arise – the surprising Mercy of God! So glad you made your way back, Patrick. Ah that we would not do the things that so wound us…but the wounds we inflict on ourselves become blessed when they lead us not to be haughty or quickly condemning of others, but feel the woundedness of us all and inspire us to help heal those wounds. I married into a pro-life family. My father-in-law Jerome was a pro-life-warrior from the first days of Roe v Wade and had a special uncomfortable bracelet made with the date of its inception which he wore vowing to never remove it until the rule was overturned. Unfortunately, he went to the grave still wearing it. He opened the first Pregnancy crisis center in our area and shortly before his death was elected president of the Florida Right to life. Needless to say, I have too been active in this arena because of him and his daughter (my wife) and we have gone to many rallies and functions, sidewalk prayer/counciling and political work. As great strides have been made towards the defeat of PP and other mindsets of the “Choice” agenda I hope for the day when he can spiritually remove that bracelet in heaven. Charlie, this is your best column, yet. You have well articulated things in Paragraph Five that I thought for a long time. And, it is entirely in line with the Pre-Vatican II Roman Ritual Blessing of a Woman After Childbirth When Her Child has Died. In it, the rubrics say nothing as to whether or not the child has been baptized. The plain language does not even assume baptism. In the Prayer it states: “Let us pray. Almighty, everlasting God, lover of holy purity, in your kindness you called the child of this woman into your heavenly kingdom. . . . ” Since the blessing implies that God in his mercy takes care of the stillborn or died after birth child, then it is clear that God in his mercy would also make provision for aborted children. For my mother, who lost some of my sibling to miscarriages, this realization was also a great consolation to her and me. Audie Marie and Patrick, I love you both and I join you in your grief. Yet, I daresay, that your children are in heaven with God praying for you. O Merciful Lord, the Giver of Life: we entreat You, look with compassion and tender mercy upon Your children who have been condemned to death by abortion. You who said, “Suffer the little children to come unto me and forbid them not, for of such is the Kingdom of heaven,” do now, we humbly pray, grant the inheritance of your Eternal Kingdom to the multitudes of innocents who have perished in their mother’s womb by the unjust judgment of men. We beseech You to soften the hearts of mothers and fathers who would seek to destroy Your little ones. Pour out upon them Your Divine grace that they may be convicted in their hearts and turn from their evil ways to embrace the True Faith.. Upon those who have committed this cruelty: render not unto them according to their deeds, but rather have mercy upon them. Pierce their hearts with compunction and make their eyes stream with tears of repentance, joining their weeping with that of Rachel over her beloved children. For you are a merciful God, the Giver of Life and Lover of Mankind and to You we render glory, with Your Eternal Father and All-holy Spirit, now and always and forever and ever. Amen. JoeCro, glad to see you back, bud! Dear James, thank you. Your words brought water to my eyes. God bless you and all here. A deeply moving post (series of posts), CJ. Thank God for HIs healing grace at work in so many dear ones. There’s so much beauty as we make our way here, but clearly brokenness and scarring that threaten to overwhelm too many. I wish I had more to give, but simply took everyone in prayer as I made my way here today. It was gloomy setting out… more Fireball whisky bottles left by some unknown trekker. Hey, I don’t begrudge someone a shot of whiskey, but seems like there’s a better time and place for it. Mostly I wanted to cross paths with Old Gold (the old herd stallion I once dubbed Buckskin Blaze), and share a picture of him with you. Don’t ask me why. I’ve just gotten really fond of that old stallion. Well, it didn’t look like that was going to happen today, so I eventually headed out on the return trip via another route across open desert. Every once in a while I run across some junk. Sometimes shiny things… like those ‘happy birthday’ balloons that float out there from who-knows-where, eventually deflating, descending and landing in the scrub. I saw one today, and it reminded me of the time we’ve each been allotted. Sometimes rusty things… I also ran across the top to an old washing machine. God only knows what that was doing in the middle of nowhere. I bent over that peculiar thing, sweating quite a bit in my dusty desert wear. Reminded me that no matter how many times we put on a new outfit, we’re going to need to run that stuff through a wash cycle… repeat… over and over again. Made me think of the patient work… that wash cycle our spiritual garment goes through that takes a whole lifetime… and maybe then some! Beyond that I was briefly thinking about the prodigiously holy. I know there’s some… I’ve read about them at some point or another, but can’t say I’ve ever crossed paths with such a person that I know of. There’s the mass of sinners struggling to become holy. A big club that most of us are a part of. Fortunately there is The Cross and our Lord Jesus Christ. The greatest indication ever of how much God loves us. You know this of course… I know, but how very difficult to stay there, rest there, heal there… trusting for all we’re worth. I let go of most of the internal banter for the remaining couple of clicks out. Cutting through a sandy arroyo, I popped out through some thick scrub, snagging my shirt on some thorns. That made me stop to pluck a few thorns out of my flesh. Good thing too, because there he was right in front of me. Old Gold. Oh. All I can say is GOD IS GOOD. And, maybe, mission accomplished. On to the next step. I’m just glad to witness the beauty and share a slice. It was a good day. Such a good day that I wanted to keep on walking for many more hours, but I would have been neglecting my family. ‘Course, they were probably glad for the peace and quiet at home and would have been all for me doing another 10 miles or so. Glad you enjoyed the journey. I guess that officially makes you an honorary member of the Don Bosco Adventure Club. Oh, I really enjoyed your writing and photos, MP! They are so soothing. Thank you. I wish you could see the formerly cantankerous Buckskin Blaze, now the gentle Old Gold, first hand. He’s taught me how to handle the slog in peace, and his band has gotten really used to me, if not outright friendly. If ever the BLM reverses course on the wild mustangs, and they very well might, I’ve told my boys that we’re heading out to round them up on a rescue mission, and to give them a fitting home to pasture in. All God’s creatures. MP, I can almost picture Old Gold as Buckskin Blaze. It’s good to know the wild mustangs will have a refuge if needed. God bless you and your family. Well written and very timely article Charlie. These verses from today’s Gospel speak well to this topic. “For God so loved the world that he gave his only Son, that whoever believes in him should not perish but have eternal life. For God sent the Son into the world, not to condemn the world, but that the world might be saved through him.” John 3:16-17. His mercy endures forever. A couple of thoughts I’d like to share that are unrelated to this topic but nevertheless timely and possibly of great import to readers of the blog. Did you know that the year 2017, which ended Dec.31,on the Gregorian solar calendar runs parallel with the religiousl unar Calendar ordained by God in the Bible? The solar calendar which began Jan. 1, 2017 was followed by the lunar calendar on March 28, 2017 and doesn’t end until this coming Friday, March 16, 2018. We had a full moon on March 1, and a rare, super, red, blue moon is due to occur on March 31, marking both Holy Saturday as well as Passover. Must mean something! Huh. Luvmercy, you have left me both intrigued and stunned. That is all very interesting. Hi Luv. While I appreciate your intention, I appeal to you and all not to try to find some obscure way to make me out to be right on what I obviously was wrong and misinterpreted. First off, I dealt with the alternative calendar business way back in 1995. Looking for the nuance, the subtlety, was a big part of the work in learning how to interpret accurately. Even if your scenario was right, I described it wrong – and so failed in my duty and training. From the beginning, I said candidly that I was going to make some mistakes. I wish that I had not made two such high-profile mistakes, but there it is. I certainly give no ground on those areas where I clearly interpreted properly, such as the global civil war fought on cultural lines (which we are now in – praying that it does not degenerate into a full-on shooting war), the critical threat of North Korea, the rise of China and the collapse of the rule of law, to name a few that I began talking about decades ago. I don’t mind when someone notes something such as the unprecedented case where we made a change of presidents a little over a year ago, yet Obama loyalists kept hold of the bureaucracy and engaged in a criminal conspiracy to undermine and overthrow the lawfully elected president – and how that resonates with what I had said about the matter. But it is NOT how I described it, so though elements foreshadowed what would happen, I got it wrong. If we start trying to come up with tricky, forced ways to make me completely right where I clearly erred, it saps the merit out of those areas where I clearly have interpreted rightly…and it diminishes my usefulness altogether. I already discussed specifically how I erred on interpreting the Rescue in the first post on this site. It was the beginning of the process that will culminate in the Triumph of the Immaculate Heart – not a single, same event. My primary virtue in beginning to speak five years ago was not doing so in serene confidence that I would never be wrong, but in knowing that I sometimes would be, yet going forward anyway in response to the command to hearten the faithful. A key part of answering that call was to take full responsibility for all I said, always defending what was true and always candidly acknowledging and taking responsibility for what was errant. There is a glib imperative in the world today that to have worth, one must always be precisely right. That begets an instinct to try to re-create what was wrong into really having been right all along – which is a lie and a trick of the satan to draw us away from God into a pathetic vanity. We are little ones, every one of us, and called to live our duty with fidelity and fortitude both in season and out of season (2 Timothy 4:2). Some men cower from a fight; others fight to the death for what is right – as long as it proves out. Some men who would fight to the death will shrink from the field when humiliation is involved. Some fight only when the odds are good; others fight for what they believe to be right. All of these are defensible, but the fully Godly man fights fully for what he believes to be right; acknowledges candidly when he is wrong and as quickly as he knows it; fights because of his duty to God and his fellows, not to prove his prowess; uses all his faculties to be as effective as he can while only acting for right reasons; acting boldly, but without malice and with charity; and knows that neither defeat nor humiliation relieves him of his duty – and that to quit the work because of either OR to fail to candidly acknowledge his fault robs him of his honor before God. We must be the latter, fully Godly people who live our duty with fortitude and courage, knowing all the while that we have feet of clay and acknowledging before God and man that we are dust and ashes. Before everything is done, all will sometimes err, sometimes be defeated, sometimes be humiliated. I have prayed that the virtue of my errors might be that, when those moments come for each, some might take hope and solace in that when these things came very publicly for me, I soldiered on with fortitude, trying my best to live my call to hearten the faithful despite my very prominent feet of clay. The truth is, if an angel from heaven came before a crowd of honorable witnesses and confirmed that the Lord had truly called me to hearten the faithful and help guide all through these perilous times, I would STILL make mistakes and errors on my pilgrim way. So will you. The essence of fidelity is NOT to never err – for that only means you WILL quit the field at some point, because you will err. Rather, it is to press on with honest humility and steadfast fortitude even in the midst of your failures. To do that faithfully, you must acknowledge your errors candidly whenever they arise. What if St. Peter had insisted he was right to deny Christ? What if he had quit the field of evangelization in shame after acknowledging his failure and weakness? What if he had stubbornly held to his error after St. Paul rebuked him? What if he had abdicated his leadership in shame after acknowledging that error? WE would all be impoverished by any such decision. I have said before, more than a few times, that even with the best intentions and most rigorous preparation, we cannot always be right – but we can always be true; true to our duty to God and to our fellows. I have tried to live that – and explain here what it means. I ask you to do the same. Let us each resolve, warts and all, to be true to our duty while relying on God to make us better today than we were yesterday, always acknowledging our fault as soon as we know it, while never letting that fault prevent us from soldiering on with fortitude. I appreciate these thoughts of yours. If we don’t go so far as to chisel your comment on a piece of granite, prominently placing it as a marker along our way, than we should at least endeavor to keep it somewhere safe and handy, somewhere we can readily access it and lean on it when needed. As much as I prefer to stay upbeat, the defeats and humiliations do indeed come. And thus we soldier on. To accept how little we are, how little we know… gosh, it can be a crushing thing. To accept it though, and maybe even grin and laugh at how silly we can be… well, seems to me that it is such a freeing thing. Then our little nothingness might truly even count for something. Thank you so much for this reply to luvmercy, Charlie. So much wisdom and fortitude expressed. Holy goosebumps of gratitude, Charlie. Deo Gratias! Hmmm. I think that is one of the beauties of us humans. Isn’t it cute when a little kid learning to walk falls down on his diaper fanny, giggles and gets right back up and keeps trying to walk. Amen, Doug. And Abba gives unending whispers of encouragement every step of the way. Definitely. There are few things here that are more captivating, bringing more hope and joy –– comical antics and all –– than babies/toddlers. I love ’em, being one of ’em in a sense. No doubt we’re spiritual babies, needing all Fatherly and Motherly help at all times, when compared to the Heavenly host. That said, we’re adults here. Yes. Pilgrims in a foreign land, yet making our way formed (more or less) and confirmed in the Faith. 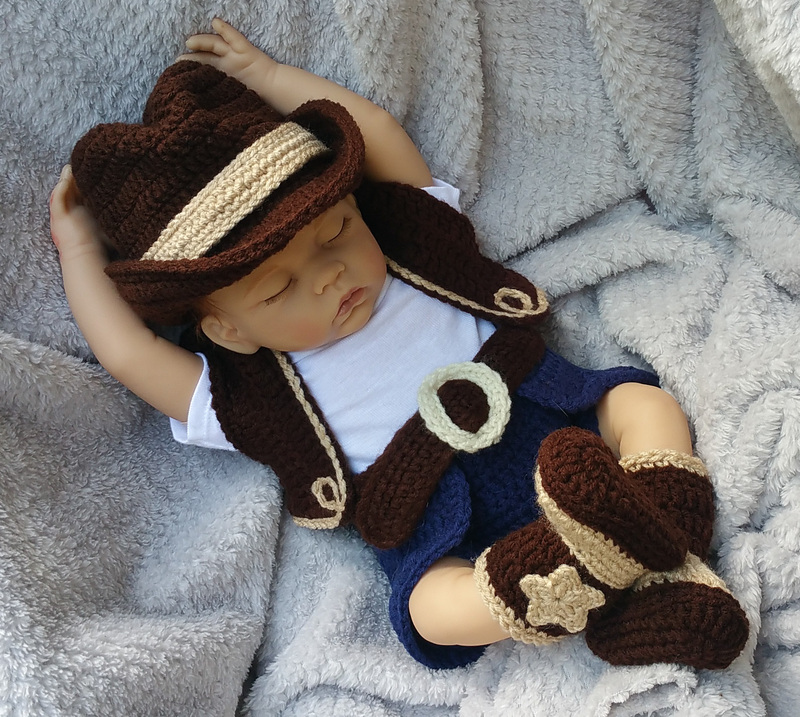 God please spare us the imagery of me in my diaper –– cowboy hat and all – stumbling and spilling on my bum. I’m emotionally scarred just thinking about it. There was the childlike innocence of St. John, The Apostle who Jesus loved, say the Scriptures. Of course there was the practical Peter too, the one being formed to lead the Church. Jesus loved them both with Love beyond measure. Recall Matt 16:23, which looks like a verbal roundhouse to me, because I’ve had no less than a few of those delivered lately. Yes, it stings, but Love delivers it. I think it’s that “both-and” that B occasionally references. To me, it’s always been about a healthy balance. I know, sometimes I may seem overly blunt, maybe downright harsh to some. Oh, if that seems off putting, just think of the aforementioned imagery of me in my diapy (shiver….). I’d rather be sharing pictures of that river cutting through the desert, so if that truly challenging mystical flight to the desert ever happens in our lifetime, we all know where to meet. Oh My Gosh this made me laugh aloud: “God please spare us the imagery of me in my diaper –– cowboy hat and all – stumbling and spilling on my bum. I’m emotionally scarred just thinking about it.” What a refreshing laughter. Thanks, MP. Perfect. Now I’m going to need some therapy. The Joy of the Gospel rules at ASOH!!! Hee hee. I’m painfully self aware, Phil. It just made more practical sense to spare the therapists and show up here in between long treks. Thank God Charlie hung his shingle out way back when. As Jack Nicholson said in As Good As It Gets, “…makes me want to be a better man.” Imagine how I was thrown for a loop when Charlie was pondering whether recent events are the new normal. I had all I could not to embark on my own version of his cross country walkabout. Good thing Doug talked me out of it. Well, you will have lots of padding for those wild treks in the desert. There you go again Doug, calling it MP’s uncencored, rambling, childish mind! (are you a former drill sergeant?). If skipping therapy to come here for advice from you is doing him good Doug, please refrain from the unpretentious wisecracks! (Sir- in case you were formally a drill sergeant). I don’t know Doug, that marshmallow on Ghost Busters was a bit scary at times! Ah, but he’s guileless in his insults… and he genuinely keeps me guessing as to whether or not he gets my dry sense of humor. Doug, is he alluding that our humor is all wet? Well said Steve. Someone once told me, “God gives us just enough success to keep us going and enough failure to keep us humble.” This has proven true time and time again in my life. I find that God often tells me the end from the beginning but nothing in between. Not to worry, someday we’ll understand it all. So for now let’s just trust Him and do our best to serve Him. You’re not alone Steve. Without fail, He always surprises me. But that’s the best part of it. Helps us remember that He’s God and we’re not. Without Him we can do nothing, but with Him all things are possible. To be honest, I’m sort of at a loss since the promised “era of peace” didn’t materialize before the end of this past year. I was convinced it would happen. And not only because Charlie said so. Many other credible people were on the same page with it. So now we take a deep breath and wait. In the fullness of HIS time, it will come to pass. I know that because HE said it would. He does keep His promises. There’s actually a lot more to say about the meaning of heavenly signs that have occurred since the much talked about solar eclipse on August 21, 2017. My purpose for posting what I did had nothing to do with attempting to validate your interpretation of messages you claim to have received. I believe we all know better than to get into that discussion again, What I said is factual as far as the supermoons are concerned and St. John Bosco’s vision does seem to fit in nicely. Whether it comes to pass or not remains to be seen. As most reading this are aware, prayer changes things and God’s timing is often flexible. Ah, now on the significance and import of these signs in the sky, I am in accord with you. Just out of curiosity I net searched her name, Cardinal Dolan and Archdiocese of New York to see if any Catholic “Leadership” was supporting her cause … Nope ;-( … but if you search Cardinal Dolan & NYAG Schneiderman, Sen. Schumer, NY Mayor de Blaiso you will find Dolan hanging out with all these Democrat Perversion/Abortion/Alien Invasion loving Bigs and happy to push the “Progressive” Agenda of godless Socialism!! … AND!! …. Kindly don’t give me that Old BS Line about Jesus hanging out with sinners…. we are long past the time for holding the Shepherds in Wolves Clothing accountable!! PS: The Thomas More Law Center is worthy of my & your support. I hope there is a like organization in Ireland an EU where babies in the womb are targets along with the indigenous population! Absolutely beautiful, Bill. Thank for sharing this piece. Charlie, thank you for the article. Your story of the 30 yr old warm who kept pestering you reminded me that SOME people working in the pro-abortion side are doing so just to try and put some credibility to their own mistakes. I suppose that when you opened up to her with love just like you do to those grieving their lost that her heart opened up to start the healing process. This morning in my office non-denominational bible study we talked about the prodigal son and that God is constantly calling us back even after we fail and sin. Thank you Charlie. Your message is so powerful. When I was younger I believed that abortion was ok. Then the Blessed Mother called me to Medjugorje and I had a total conversion. I have two daughters…..one is pro-life and the other is pro-abortion. I am praying for her conversion….please God! Joining you in prayer for your dear daughter who is pro-abortion, Diane… and for all the sons and daughters of our world to embrace the culture of life. Thank you Beckita. Prayers are so powerful, I appreciate them very much. Praying for your daughter, Diane. Thank you Mick, I appreciate your prayers so much. As Charlie reminds us the satan has added millions of souls of the aborted who are imploring God to bring this evil to an and and to save those who have been harmed by it. May God soon hear the prayers of the little ones and soon allow the Most Immaculate Heart of His dear mother to seen triumph over this and other evils!! level of degradation our culture has descended to. I have never heard of him but he sure is not afraid to speak truth! Sure gives me hope to hear a politician say these thing. Definitely worth a listen! Echoing your WOW, Kim! He nails it. May there be an awakening to these truths. That was awesome Kim! I wish he was our governer. Me too, Doug! Hope he stays in politics and helps lead our country back to holiness! I surely wish we could have a Govenor like that in California! In know, Sherolyn! Hope he goes national! Please, please Governor Bevin, please come to Illinois…we need you here. I guess I didn’t fill something out right and should have identified myself as Just a sojourner. Could the moderator please correct that? “It seems to me that the biggest problem in our society today is unrealistic expectations both in our society and our own persons. we too easily accept what we think others expect of us instead of focusing on god’s measure and guidance. We tend to measure our own success on what others expect of us instead of what is the true meaning and worth. I have never sought power because I don’t want the responsibility that truthfully comes along with it. I don’t focus on what others think of me because they base their opinions on even less information than I have even after my own feeble efforts at avoiding self-delusion. Knowing that you can’t please everyone, focus instead on doing right with due respect for the needs of others and let the chips fall where they may and accept the challenges that flow from that. Knowing that humility is truth, let everything flow from that. Keep ever in mind St. Mother Teresa’s statement that God doesn’t reward us for success but for being faithful. Just a sojourner, I simply added your original comment to this one and trashed the one with your other name. God bless.